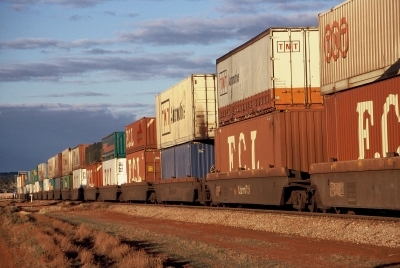 Swinburne has partnered with international logistics and freight management company CEVA to co-create and co-deliver its Master of Supply Chain Innovation course in what the institute calls an Australian-first collaboration. The postgraduate course commenced earlier this year with the aim of upskilling those already working in the supply chain industry and ensuring new entrants into the discipline have the most up-to-date skills. Delivered through Swinburne’s Australian Graduate School of Entrepreneurship (AGSE), the Master of Supply Chain Innovation continues to build collaborative partnerships with industry that will prepare graduates for the future of supply chain management. Director of the AGSE Alexander Kaiser said this partnership is an important component in facilitating the delivery of industry-embedded postgraduate courses to Swinburne students. “We are delighted to forge this collaboration that will add great value to the AGSE’s Master of Supply Chain Innovation,” Mr Kaiser says. The partnership will see students working with CEVA on a core component of the degree, the Innovation in Transport and Logistics applied project unit. While being mentored by CEVA’s logistics experts, students will work with the company on real-world projects and produce practical solutions to its issues. With active university partnerships around the world in Asia, North America and the United Kingdom, this new relationship cements CEVA’s commitment to higher education links with industry. Director of the Master of Supply Chain Dr John Hopkins said this partnership in Australia will give students an invaluable insight into the current landscape of the industry. “At Swinburne, we believe that graduating career-ready means having a deep understanding of and connection with industry. This partnership will allow students to acquire contemporary skills aligned with the challenges that logistics companies face today,” he said.